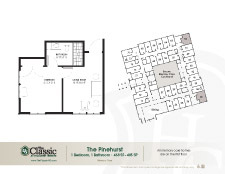 For those living with the challenges of Alzheimer’s and dementia and are looking for a premier memory care facility, The Classic provides an optimal balance of security, independence, empowerment, and honor. Our highly trained, licensed memory care professionals ensure 24-hour individualized Alzheimer, dementia, and memory care, while our Life Enrichment staff is trained in the concept of generating daily moments of success by offering opportunities for memory care residents to find happiness and meaning along with supporting their unique needs. This overall approach to Alzheimer’s and dementia care and interaction with our residents focus on creating feelings of belonging and purpose while seeking to preserve their identity and sense of self. Not sure what to expect with Alzheimer’s disease? Click here. Our Eau Claire memory care accommodations feature 36 private studios and suites and are designed to create flexible routines, fun activities, and familiar, everyday experiences for those seeking Alzheimer’s, dementia, and memory care facilities. 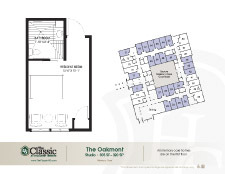 Click here for a complete list of The Classic’s amenities. 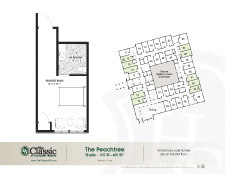 Click here to view memory care facility floor plans.